How quickly the Advanced Engineering Show seems to come round every year. This year we exhibited a new active aerodynamics unit demonstrating how we are developing cable technologies from our window regulators through to actuators for aerodynamics. 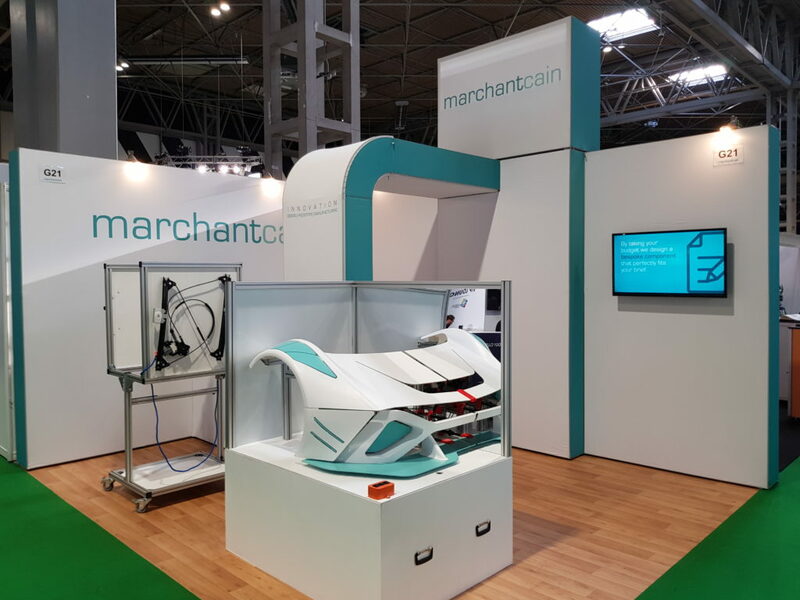 The purpose of the exhibits this year was to show how our expertise in cable-driven window regulator technology has been developed to drive active aerodynamic components. We are moving forward with this technology, both in high performance vehicles but also into autonomous vehicles, which may not need active aerodynamics or window regulators but will have to have innovative ways to enter or exit the vehicle. Visitors were invited to press the usual array of buttons to activate wheel arch flaps, the flexing bonnet, the side cheek to expose side fins and the front splitter. Several OEMs who saw this unit for the first time requested that we take it as a roadshow to their premises so that more of their engineers and buyers can see the concepts and how they might be integrated into their upcoming models. The window regulators also created a lot of interest, especially the 3D printed regulator we are producing for the world’s first fully 3D printed car. The post-show review meeting with the MarchantCain team has generated more ideas for the demonstration unit for next year. In the meantime we will be going to Advanced Engineering Show in Gothenburg 26 and 27 March where already we have meetings booked with several OEMs and engineering companies. Once again a huge thank you to the team at MarchantCain who worked so hard to get the unit together in a very short time, especially when they are all so busy with ongoing projects. Also to the Easyfairs team who always go out of their way to make the show a success for us.